We use all the latest technologies like ITERO, the Spectra Shade, ZOOM Laser Whiting, Traditional Bleaching, Veneers, Orthodontics, and CEREC to make your smile look and feel natural. Our office and lab partners will guarantee the colors and shapes of your teeth unconditionally for one year, allowing you to be confident that our results will meet your expectations. We feature Non-Metallic Restorations (CEREC, Crowns, & Veneers) which blend perfectly with your teeth eliminating the unsightly gray and yellow area at the gum line that makes your tooth look fake. 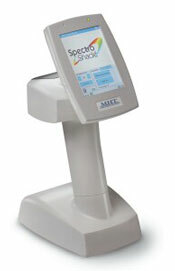 Our Full Spectrum Scanner determines the color of your tooth to ensure that it will look natural in all types of light. We are able to match your two front teeth perfectly with each other by only treating one tooth. This saves you the cost of treating a tooth only to match a color. We offer the Opalescence Go bleaching system. Opalescence Go is the professional alternative to over-the-counter whitening options. It's a simple, fast, and great-tasting way to start a whitening treatment or for whitening touch-ups. With no impressions or custom trays necessary, Opalescence Go is ready to use right out of the package!